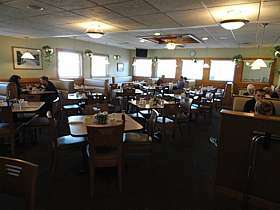 "Great Family-Style Restaurant and Home Cooking North of Madison, WI in Deforest, Wisconsin." 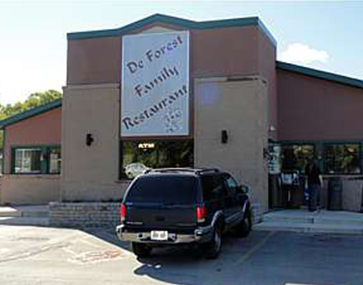 Deforest Family Restaurant has been family owned and operated since 1999. We are conveniently located 1 mile east of I-94 and 2 miles west of highway 51 on County Highway V in Deforest, Wisconsin. We are only minutes away from the State Capitol in Madison, Wisconsin. 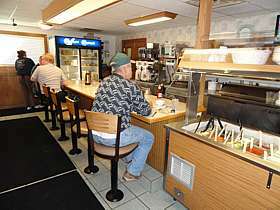 Deforest Family Restaurant offers some of the best "home cooked meals" in the Madison area and Southern Wisconsin. Deforest Family Restaurant is the perfect family restaurant destination while you are cruising up and down Interstate 94/I-39 between Chicago, Wisconsin Dells, Twin Cities(Minneapolis, St. Paul) and Wisconsins north woods. We also offer dining facilities for any special event you may have. We have a large dining area. In addition we offer a separate section where we can accommodate up to 40 people at 1 long table. We also welcome buses with a bus load of people. 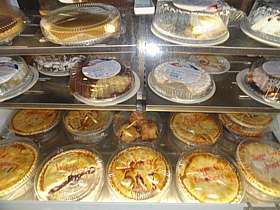 Our food, including hot soups, mouth-watering desserts and daily specials, are homemade for you everyday. 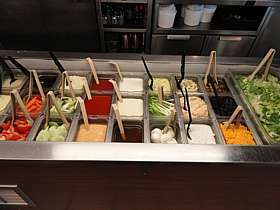 We also support healthy eating habits with our full-service salad bar and large variety of low-carb plate options. Not far from Windsor, Waunakee or Sun Prairie, we're the number one choice in the whole area for great food and friendly service. 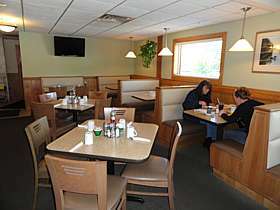 Served all day long, DeForest Family Restaurant believes breakfast isn't just for starting the day. Enjoy our famous stuffed French toast, delicious waffles and to die for pancakes morning, noon or night. The choice is yours! You'll never return to work hungry when you eat lunch at DeForest Family Restaurant. Our menu includes prime rib and New York strip sandwiches, Reuben sandwiches and perfect burgers just the way you like them. Whether it's just you and a co-worker or a large banquet party, we can meet all your dining needs. Gather all the family and friends for a night of food and fun. Our wonderful array of American dishes includes our daily specials, ribs, chicken, steak and you name it! We also have savory pastas both you and the kids will love. And be sure to join us for our delicious Friday fish fry every week. Deforest Family Restaurants menu offers a huge selection of menu items to make your entire family happy and full. Breakfast is served all day! Stop in and see us today for a great homecooked meal!